PYE offers advice and support to other service providers and outside organisations. We are able to provide a vital link between government institutions and local authorities, and the young people in the communities they work with. PYE are keen to broaden the impact of work by offering training and advice in youth engagement and effective practice. 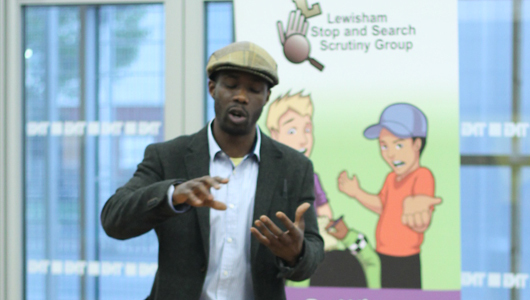 Our past work includes working alongside the Home Office to facilitate meetings with young people concerning police relations and use of stop and search. We work closely with Safer Neighbourhood teams to allow knowledge sharing between the community and their representatives. PYE has also hosted several events in partnership with the Metropolitan Police, assisting their outreach work and providing safe spaces for effective community engagement. The Positive Youth Education (PYE) Project exists to inspire and enable young people to reflect on how they perceive themselves, their home, their communal environments, and the learning acquired within these spaces and interactions. Copyright 2015 The PYE Project.